Because it is long, the blade can not be cut accurately if the blade is a bit harder. I wanted to process a deep hole, but with no pilot hole, accuracy is bad and it is difficult to use. It is impossible unless it is super hard as it is difficult to open straight because the pilot hole is also 2 mm thin. This review is about item#6817964. 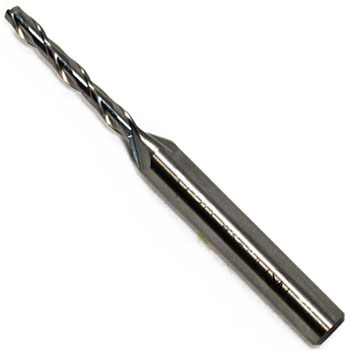 This time we do not use it as a function of the end mill, and in the file of the aluminum product we are using it for scraping by attaching the difficult part to scrape to the grinder. The thinness length is perfect. I thought that durability is not much different from ordinary manufacturers in normal use. This review is about item#06817973. I was able to cut beautifully more than I imagined. This review is about item#06817964. Good machinability. Because there are many aluminum processing, I can not think of improvement points in particular. I am satisfied with the current situation.